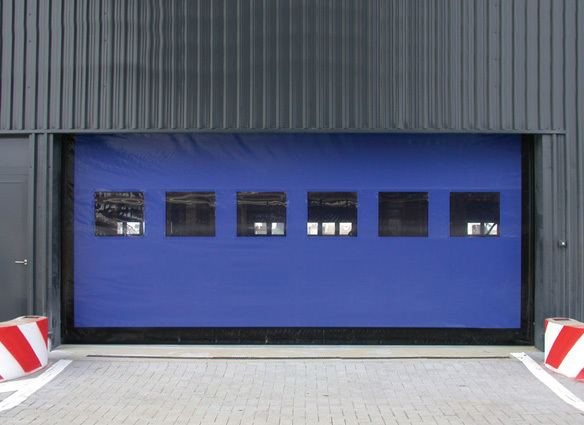 RapidCoil RC300HD | Dock Door Systems Inc.
Raynor's line of RapidCoil fabric high-speed doors utilizes the industries best sealing technology which gives an extremely tight seal against wind, rain and contaminants. RapidCoil doors, depending on size, can open as fast as 8 feet per second in some applications. By combining a tight sealing door with high speed operation, a more energy efficient environment is created, which can decrease operating costs in manufacturing environments. The RapidCoil line also features a soft bottom edge, photo eyes and reversing edge across all models, adding an uncompromising safety factor into the entire line. RapidCoil High Performance doors are available in a variety of colors with multiple vision options and activation methods. The RC300HD high performance, high speed door is designed for interior and exterior environments. 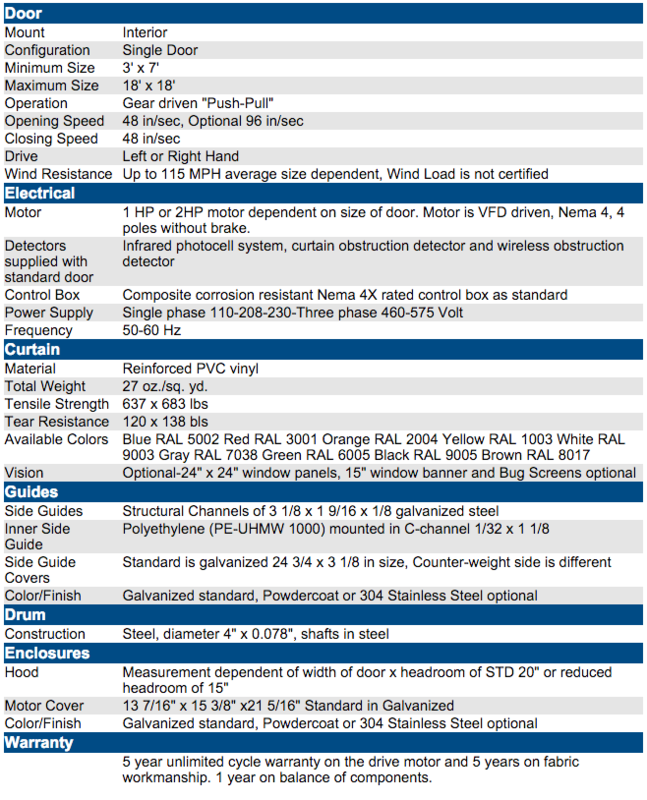 Incorporating unique "push pull" technology, the door features high-speed operation, automatic reinsertion, soft curtain design and excellent sealing. The efficient and robust design provides greater static and operational wind resistance of up to 115 mph, providing the highest level of protection. The push pull technology also offers unmatched energy benefits due to the ability to close much faster than conventional gravity doors. The technology also eliminates the need for weight in the bottom bag and therefore provides the safest choice on the market. Advance controls including variable frequency drive, encoder, user friendly programmable Logix control, and wireless reversing provide safety and reliability.